Oak Harvest Financial Group works with friends and neighbors throughout the greater Houston area to help them financially prepare for retirement. We’re happy to meet with you whenever is most convenient for you. 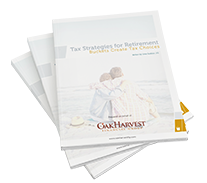 To learn more about how Oak Harvest Financial Group can help you achieve the retirement you deserve, give us a call at 281-822-1350.